Carrig has extensive experience in conducting comprehensive research on built and archaeological heritage. We cooperate with international organisations, governmental departments and local authorities to carry out research on critical heritage related matters, aiming at setting up achievable goals and giving practical recommendations to preserve our non-renewable heritage assets for the enjoyment of current and future generations. Carrig Conservation, along with a specially compiled team of experts, have been appointed via public tender by the Department of Culture, Heritage and the Gaeltacht in October 2018 to develop the first Climate Change Adaptation Sectoral Plan for Built and Archaeological Heritage (CCASP) in Ireland. The CCASP incorporates research to support a detailed understanding of sectoral vulnerability to climate change through the identification of current and predicted climate and weather-related impacts. A more detailed analysis of the climate change impacts to the sector will be illustrated through case studies using localised data and projections. A series of short- and long-term adaptation actions will be proposed along with a process for monitoring the sector’s progress in meeting the defined goals and objectives set forth by the Plan. 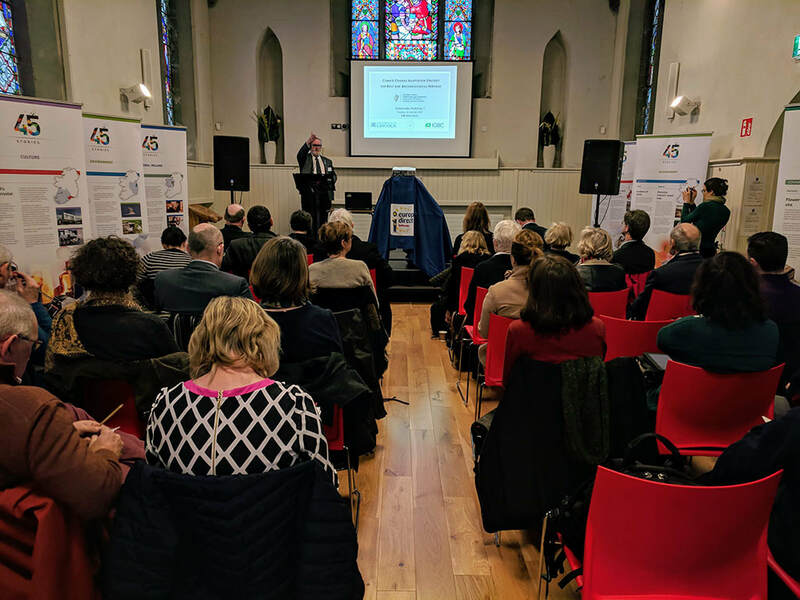 To ensure the broadest engagement on the development and implementation of the CCASP and to maximise the potential for constructive input, two Stakeholder Workshops were held in Galway and Dublin in January 2019 to allow representatives from the government, local authorities, local heritage and conservation offices, climate action regional offices, universities and NGOs, conservation professionals, and representative bodies to share their opinions and experiences. Peter Cox, Managing Director of Carrig Conservation International giving the opening speech at the CCASP Stakeholder Workshop held in Ballinasloe, Galway. 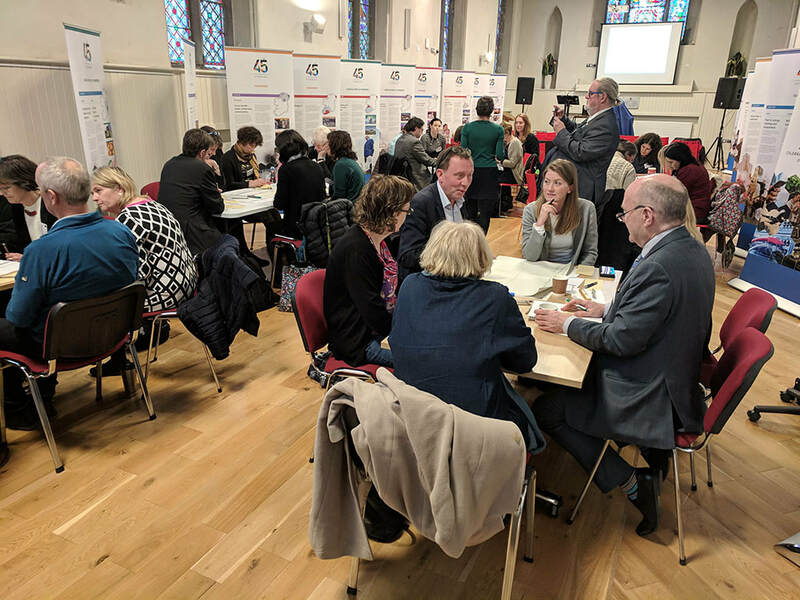 Group discussions at the CCASP Stakeholder Workshop in Ballinasloe, Galway. 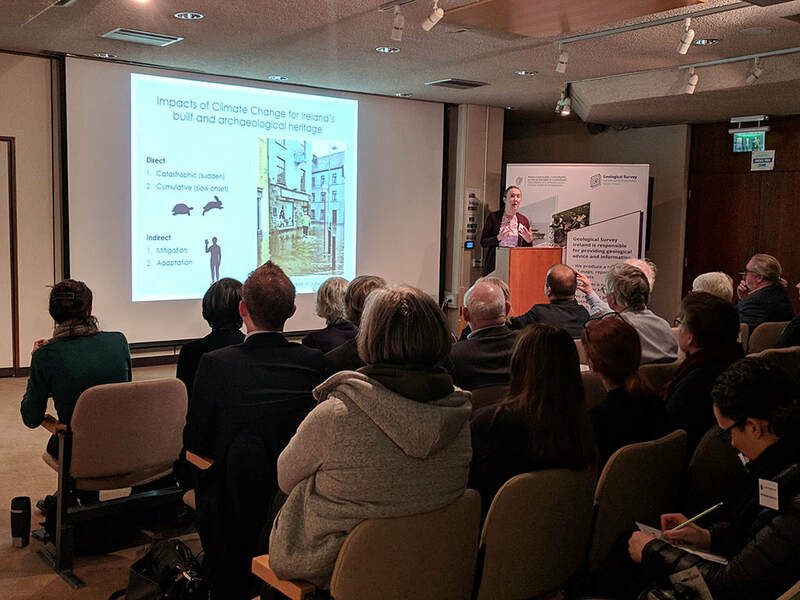 Dr. Cathy Daly from the University of Lincoln presenting the impacts of climate change on built and archaeological heritage in Ireland at the CCASP Stakeholder Workshop in Dublin. Public consultation of the CCASP will be open for submission from May 2019. More details to follow. As the President of the ICOMOS (International Council of Monuments & Sites) International Scientific Committee on Energy, Sustainability & Climate Change, Peter Cox, Managing Director of Carrig convened the ICOMOS Ireland Climate Change Sub-committee in the summer of 2008. As requested by the Department of Environment Heritage and Local Government, the Sub-committee issued the Monitoring Impacts of Climate Change on Built Heritage in January 2010 to provide recommendations for monitoring possible climate change impacts on World Heritage Brú na Bóinne and proposed World Heritage Clonmacnoise. Peter and the ICOMOS Ireland Climate Change Sub-committee were also involved in the preparation of the report Vulnerability Atlas for Built Heritage in Wexford in 2010. If you would like further information or have a project that you would like to discuss, please contact the office to speak to one of our conservation consultants.